Welcome to Central Coast Premier Entertainment! Central Coast Premier’s Entertainment providing Dj services for weddings on the Central Coast. They are dedicated to the highest standard of professionalism! Central Coast Premier Entertainment is one of the premier DJ services serving areas of San Luis Obispo, SLO, Santa Maria, Nipomo, Grover Beach, Pismo Beach, Avila Beach, Paso Robles, Atascadero, Santa Margarita, Templeton, Goleta, Santa Barbara, Santa Ynez, San Miguel and more! Enjoy the best Dj service that has the ability to create a one-of-a-kind experience that you and your guests will always remember. From a small gathering to a large event, let Central Coast Premier Entertainment create a unique experience for you. If you are planning a small intimate event with a few loved ones or a large event for you and 300+ guests, Central Coast Premier Entertainment is the perfect choice. Music is not all we do, we also have a dedicated lighting team to meet your lighting needs. Come in and browse around as we are eager to answer any questions that you may have. 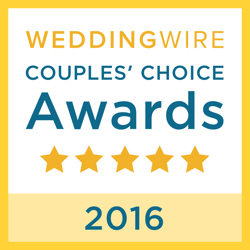 Thank you for choosing Central Coast Premier Entertainment! We work really hard to bring you the best in entertainment. We provide professional DJ & MC service along with Online Wedding Planning and free consultation. We can provide PA ceremony systems, Dj reception setups, Decor Uplighting, Custom Monograms and Photobooth. We’ve done many events all over the Central Coast and are ready to serve you. 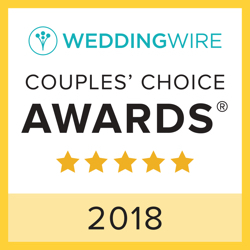 Feel free to check out our Wedding Wire Reviews below and see what others are saying about Central Coast Premier Entertainment! Check out the cool Vids and make sure to watch in HD. You can contact us at this page by clicking here. Here is what other customers say about us! A professional DJ will organize a timeline of your event months in advance and meet with you on numerous occasions to make sure that what you envision for your special day will be a success. A professional DJ will also get a playlist of artist and genres you and your guest like so that they keep the party going till the very end. Central Coast Premier Entertainment is **AWESOME**!! Javier doesn’t just play music – he runs the entire event. The reason our wedding was amazing is because of Javier and his team. He gave us direction when we had no idea what we were doing next, haha!! DJ Javi you were just AMAZING! Our friends are still talking about the night saying that it was “the best dance floor of any wedding they had ever been to.” The music was off the hook and the party never stopped! Javier was excellent!! He went above and beyond to make sure our day went smoothly. He had EVERYONE on the dance floor. I have received so many compliments on our Big Day and all have mentioned how great the music was. Importantly keep their word. Highly recommended!!! The best choice for entertainment!!! Their professionalism is incomparable, since day one when we hire them, they were always attentive and making sure they were prepared to meet our music and entertainment needs. Our wedding was unusual because we incorporated two cultures in one Turkish and Mexican, the music selection was just perfect and the transition between them was flawless. Javier was fantastic. He went out if his way to meet with us on our time schedule. Very helpful and easy to work with. Sey and Javier were wonderful and provided everything we needed for our dream wedding! They have a great interactive website that allowed us to pick and choose songs we wanted to be played on our night and rate them. Javi was an amazing DJ and if I was to redo my wedding again, he would be the first person I would contract. The event was amazing, it got so many compliments and people looked so happy the entire time. I believe a big part of that was due to Javi’s services. He coordinated my wedding in the perfect way to keep the crowd pumped! The dance floor was always full and he has a great taste in music. Phenomenal DJ! Not only did he run the ceremony and reception perfectly, the dance floor was full the whole time!! He even gave us a huge send-away that made our day complete with all of our friends and family gathered around us! We would strongly recommend Central Coast Premier Entertainment and Javier to anyone!! Central Coast Premier Entertainment offers great Dj Services for your wedding, school dance or corporate event! We can customize a playlist to keep your guests dancing all night long! Click here to find out more. Make your event standout with a splash of color. Decor Uplighting helps anymore come together with color wash & uplighting. Let one of our lighting experts help you in your design ideas! Click here to see great photos! 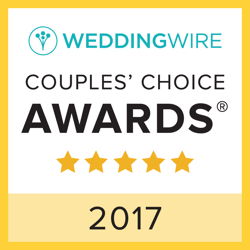 With our online wedding planning you can choose your music, build a timeline and plan your wedding from the comfort of your home!